Week 7 of the college football season contained some of the wildest endings the season has seen yet, along with an appearance from Tom Cruise at his first ever college football game. 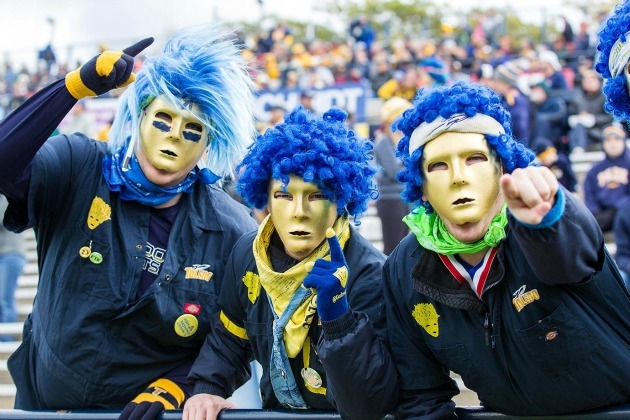 Even with the late victories and surprising upsets, the craziest thing about Saturday was still the fans, so Extra Mustard has combed through Sports Illustrated’s weekly College Football Superfans gallery to find the most passionate and goofiest supporters around. 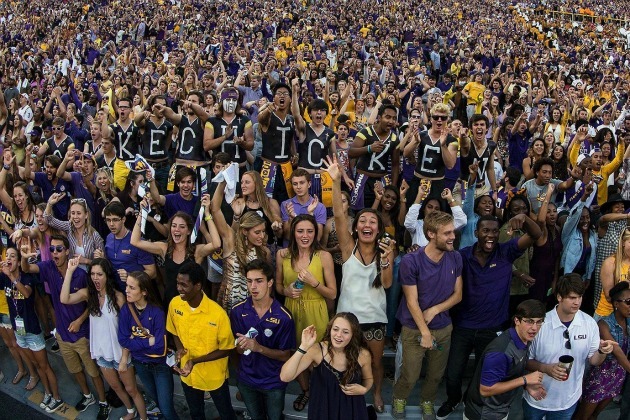 LSU beat SEC rival Florida in one of the weekend’s biggest games, but the T through I of TASTES LIKE CHICKEN took a seat, leaving these fans looking foolish. If you are gong to paint a sign on your chests as a group, you have to stick together. 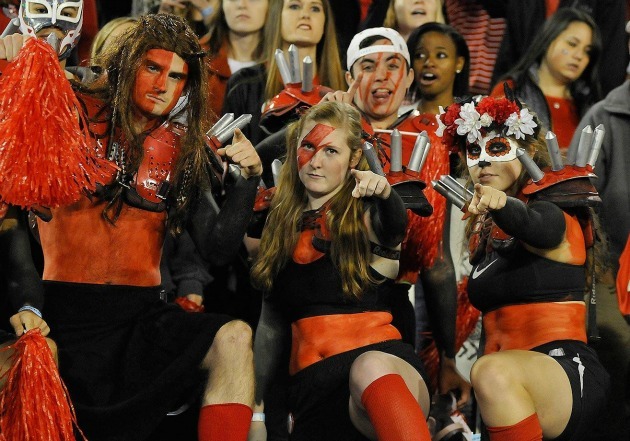 ​The students of Athens, Ga., have taken a page out of the Oakland Raiders playbook, donning weaponized shoulder pads and plenty of bodypaint as the Bulldogs squeaked out a 9–6 win over Missouri. Boise State rolled into Romney Stadium with a No. 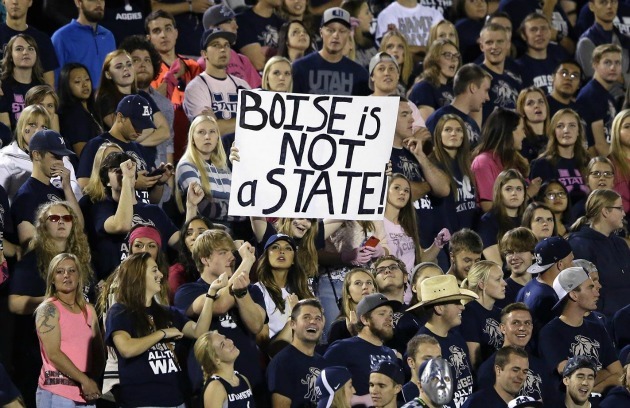 21 ranking to face off against Utah State, but the Broncos left with a 52–26 loss and a lesson in U.S. geography courtesy of one Aggies fan. 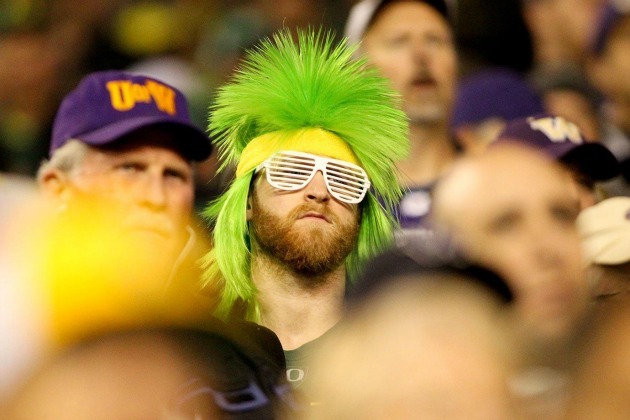 Oregon is in the midst of a down year, and even in the midst of a close win over rival Washington, this superfan looked a little down in the dumps. Perhaps he should snap into a Slim Jim.